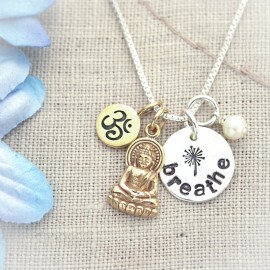 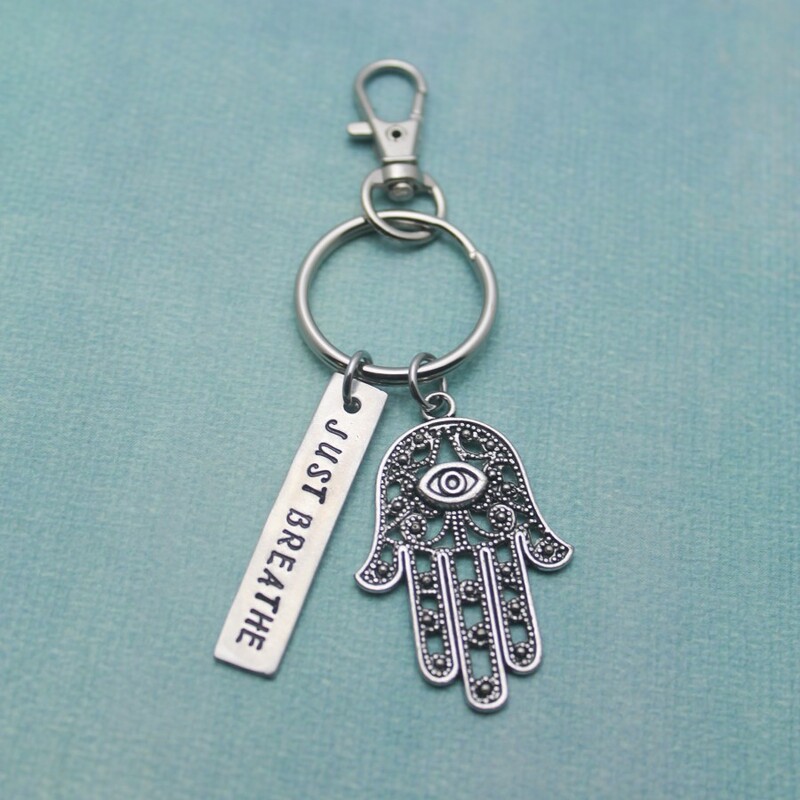 This beautiful mantra, "Just Breathe" is a great reminder to relax and enjoy life. 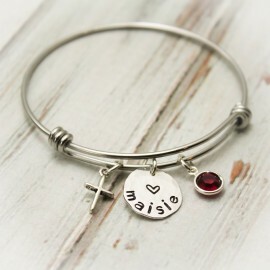 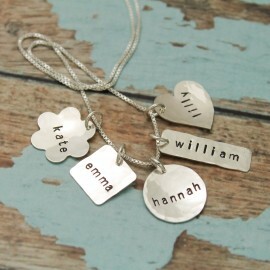 The tag can also be personalized with a name or word of your choice (max of 10 characters). 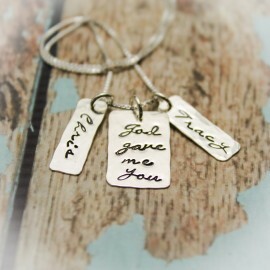 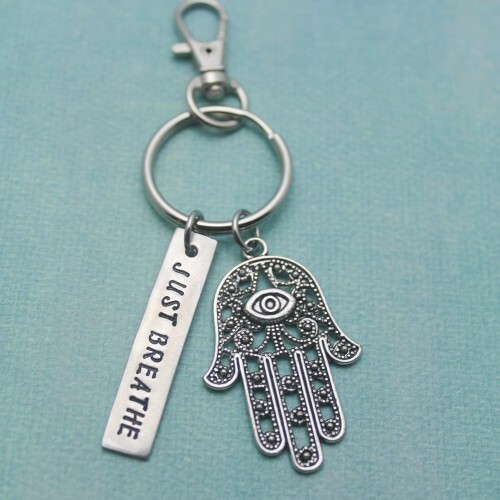 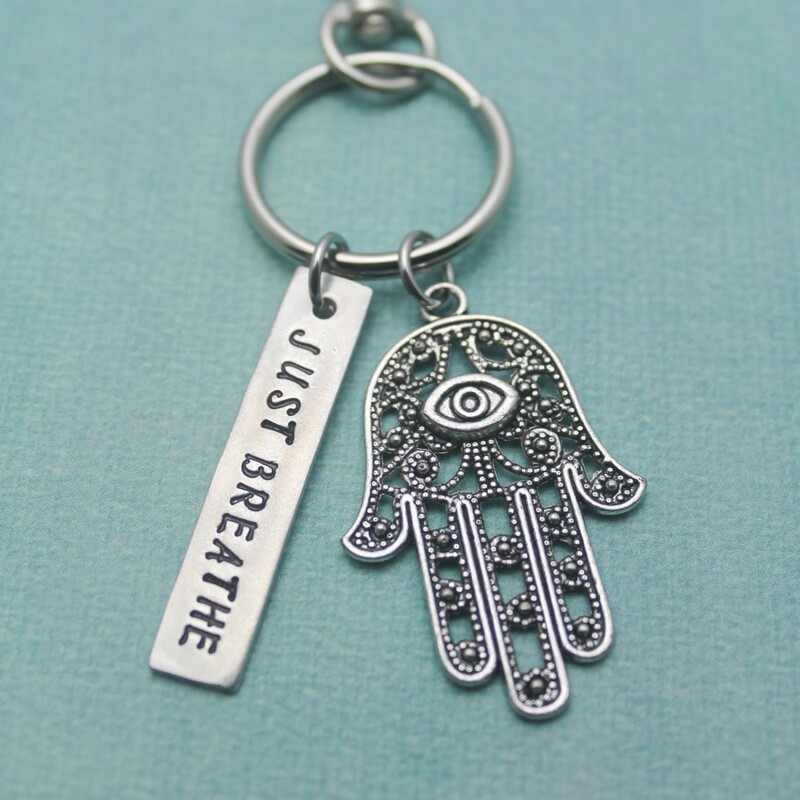 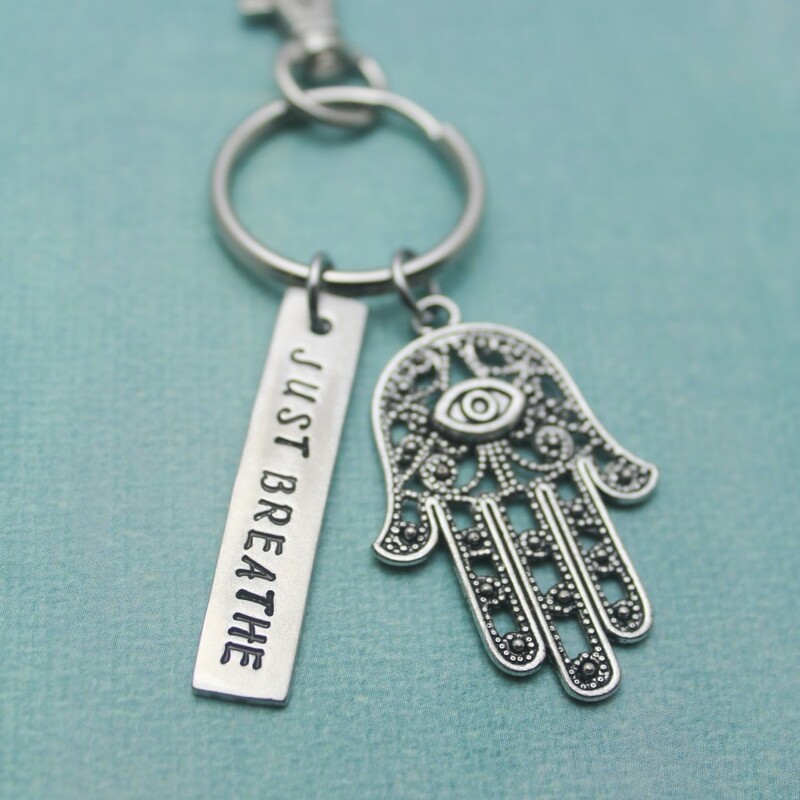 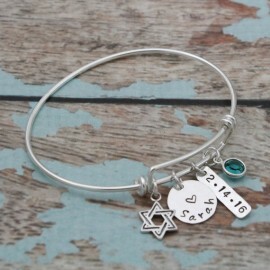 Keep this keychain for yourself or give it to someone special who will draw strength from it. On a stainless steel split key ring with a lobster hook. 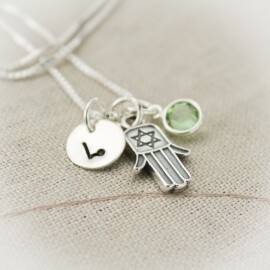 Hamsa is approximately 1-5/8" in height and is made out of a base metal. 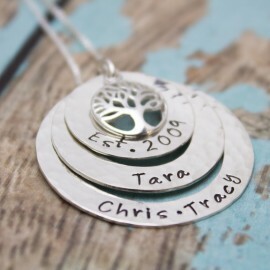 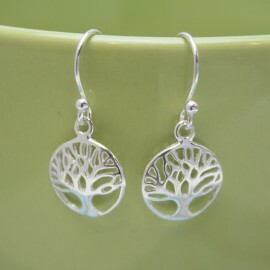 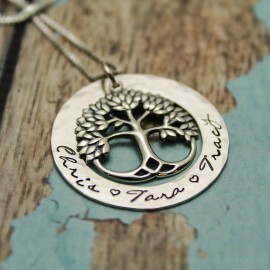 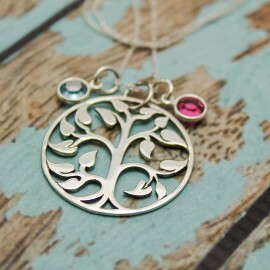 Tag is 1-5/8" long and is pewter.